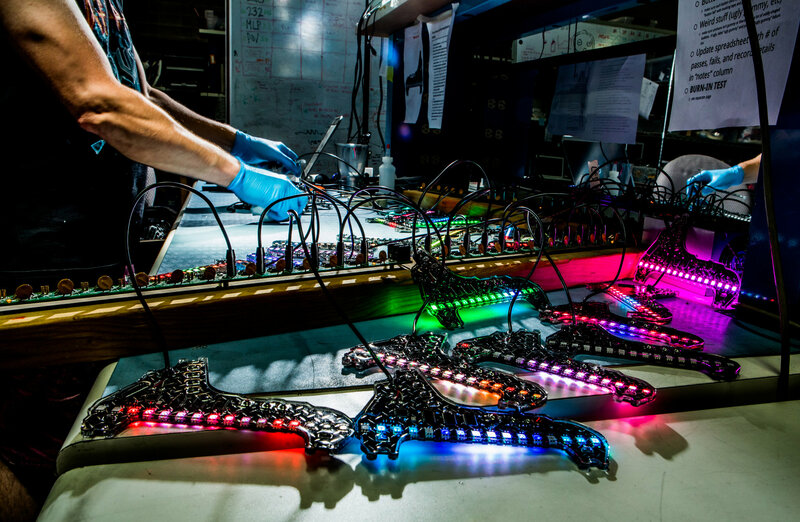 Maker-Made Small Businesses Profiled in New York Times « Adafruit Industries – Makers, hackers, artists, designers and engineers! Always rad reading about maker-made small businesses in the ‘entrepreneurship’ section of mainstream publications like the New York Times! When Dan Goldwater first attached kaleidoscopic LED lights to the spokes of his bicycle wheels and rode through the Burning Man festival at night, the crowd was wowed. And the “burners” — people who flock to the giant late-summer counterculture festival in the Nevada desert — were not the only ones. Back home in Berkeley, “Everywhere that I took it, people would run down the street after me and ask, where could they get this thing?” Mr. Goldwater said. Bicycle equipment companies come and go; mostly they go. Mr. Goldwater’s company, Monkeylectric, has been in business for 10 years, convincing night cyclists that front and back lights are inadequate and that they need bright side lighting, too.